These pictures were taken one Monday afternoon when we went to Home Depot to buy lawn mower. 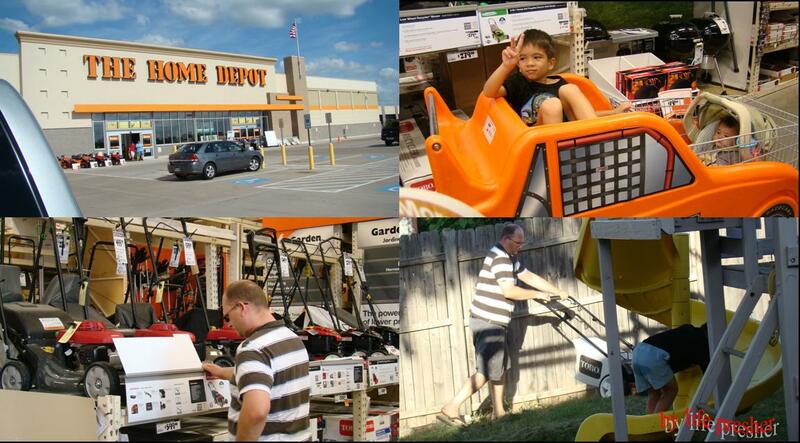 In one of the pictures, Jason was deciding which lawn mower to buy. Of course we want to buy the one that is affordable and works best. So we chose the one that we want. I cant not remember the type of lawn mower we got, ha ha, but we pay $300.00 for it. Jason tried it right away when we got home. He said it works good. I am glad we have our own lawn mower now!